In the time it takes you to read this article, 50 workers will have booked off work due to a mental health problem or illness. Each week, 500,000 Canadians call in sick because of poor mental health and, by age 40, half of us will have experienced some form of mental illness. When you consider the time most working adults spend on the job, this is a problem employers can’t ignore. Beyond the toll mental illness takes on individuals and families, it’s detrimental to Canadian productivity, whether due to low morale, mistakes, presenteeism, absenteeism, or poor customer service and product quality. More than 80 per cent of Canada’s employers find that mental health issues are among the top three of their disability claims. In total, as a report for the Mental Health Commission of Canada (MHCC) showed, the private sector spends $180 million to $300 million each year on short-term disability benefits and $135 million for long-term disability. Chartered professional accountants looking for ways to cut workplace mental health costs have been instrumental in the development of the National Standard of Canada for Psychological Health and Safety in the Workplace. As part of an MHCC workforce advisory group, accountants helped identify 13 key factors that impact mental health at work. 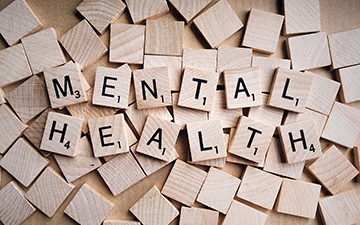 The Standard offers organizations guidelines, tools, and resources to support good mental health and prevent psychological harm among workers. While the MHCC was the national catalyst for the project, the Standard was the result of teamwork by employers, governments and regulatory authorities, service providers, policy and legal specialists, unions, and non-governmental partners. Accredited by the Canadian Standards Association and the Bureau de normalisation du Québec, it aligns with CSA’s Z1000 Occupational Health and Safety Management standard. Businesses and NGOs have a corporate and social responsibility to preserve and protect the mental health of their employees. But implementing the Standard is also profitable because it improves productivity, financial performance, risk management, recruitment, and retention. A long-term Ipsos Reid poll of 5,000 diverse employers across Canada found that employees living with depression miss 7.4 fewer days of work each year if employed by an organization that has implemented the Standard. • Nav Canada, the national air traffic control company that employs thousands of workers in high-stress jobs, reduced short-term disability rates by 20 per cent and long-term disability claims by 10 per cent. It also reported a 100 per cent return-to-work rate among employees who booked off for mental health reasons, with 95 per cent showing a sustained recovery. • Bell Canada achieved a two-fold increase in the use of its Employee and Family Assistance Program and a double-digit drop in short-term mental health disability claims. • Toronto’s Michael Garron Hospital delivered dramatic improvements: a seven per cent reduction in overall health care costs and a decrease in days absent, from more than 10 to less than seven over six years. These results show why the Standard has won respect from so many employers and employees. Canada’s top organizations, including the Government of Canada, Via Rail, BCE, Rogers, Enbridge, Manulife, Sun Life, and Great-West Life (GWL), have situated themselves at the forefront of its promotion. Mental health problems have a hefty price for Canada’s economy, according to MHCC research, at well over $50 billion annually, nearly $1,400 per person in 2016. The Conference Board of Canada estimates lost productivity costs from anxiety and depression alone amount to $49 billion each year, with almost a quarter of persons living with mental health issues unable to work. If provided with treatment and support, the economy would add up to 352,000 of these individuals (each year until 2035) to the workforce as fully functional employees. GWL operates its own Centre for Mental Health in the Workplace, which offers a range of free resources for other businesses looking for practical tools and information. The MHCC also has several programs for employers wanting to create healthy and respectful work environments that help break down stigma and reduce reticence on supporting workers living with mental illness. One example, Mental Health First Aid, teaches people how to respond to a person experiencing a mental health problem or crisis. So far, 250,000 Canadians have completed the training (many through employer sponsorships), which has now been adapted to specific populations that include Indigenous peoples, seniors, and veterans. Two other programs, The Working Mind (TWM) and The Road to Mental Readiness (R2MR), also address particular groups. The three TWM versions are directed toward trainers, managers and supervisors, and employees, showing them how to promote mental health and reduce the stigma of mental illness. Each program dispels myths about mental illness and encourages individuals to reach out for help if they need it. The MHCC adapted R2MR, originally developed for the Canadian Forces by the Department of National Defence, to support police forces and other first-responder groups across the country. The program seeks to reduce stigma and build resilience among workers who regularly confront high-stress situations. It provides a shared language and common understanding of the challenges that grow out of traumatic experiences as well as a platform to talk about them. For accountants, who perform daily brainwork — often under stressful conditions — job effectiveness means protecting our own mental health. That makes us natural candidates for these workplace mental health initiatives. Given the crucial role CPAs play in their clients’ operations, we are also perfect candidates for raising awareness about the positive impact of these programs on profitability and worker well-being. In both cases, creating psychologically healthy workplaces is good for the bottom line. 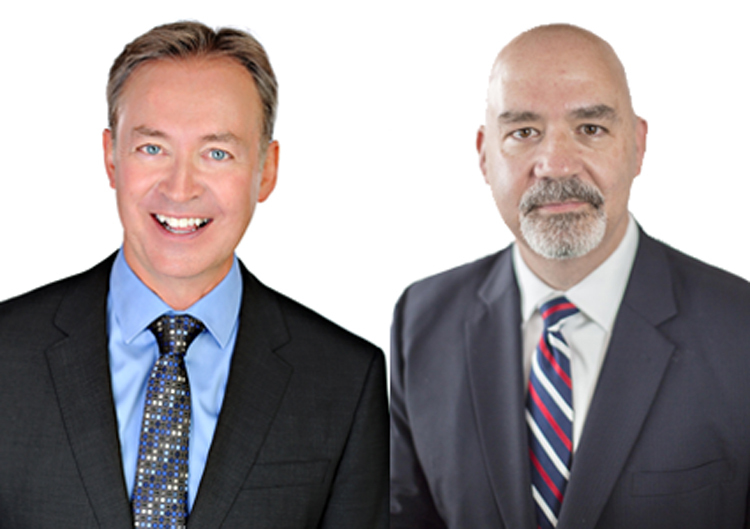 By Charles Bruce, CPA, CMA, vice-chair, Mental Health Commission of Canada, and chief executive officer of Provident (Trustee of the Public Service Pension Plan in Newfoundland and Labrador); and Michel Rodrigue, CPA, CMA, vice-president, organizational performance and public affairs, Mental Health Commission of Canada. A nightmare! PTSD! Did you pass the CPA CFE? Congrats!